With Pretzel due to arrive in only two months, we needed to find him a little space of his own, and in a three bedroom house that means two of the boys need to share. Dylan and Archie are getting on so well at the moment, and so we decided to move them in together earlier rather than later. 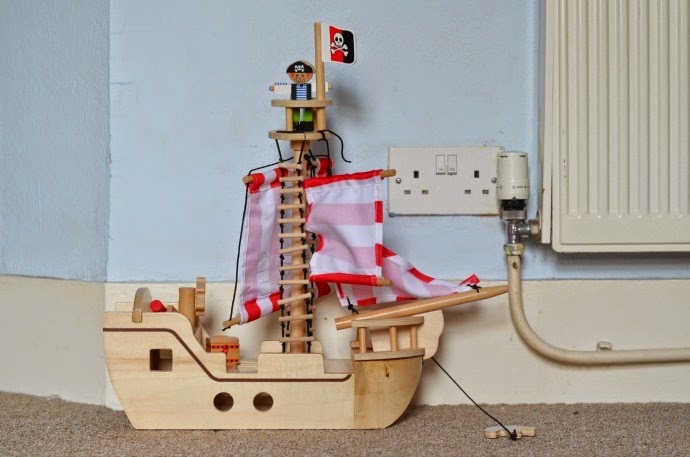 Rather than just putting Archie's cot into Dylan's room, we have given their new room a mini makeover with a pirate theme. 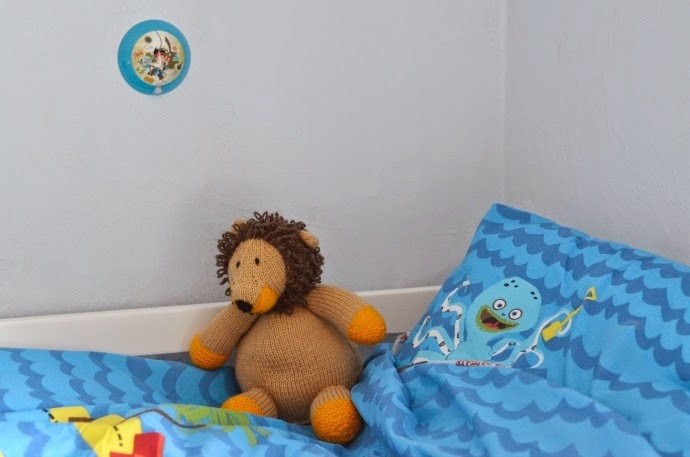 Dylan was still in a cot bed, so he got upgraded to a proper single and we had to prioritise space over all the toys that previously lived in there when there was only one occupant. They spent the day with their grandparents whilst we sorted out the room and both the boys love the changes. They both seem really happy to be sharing and we hope the room will grow with them. Dylan now has a mid-sleeper bed which was sent to us from Noa and Nani. It is so much taller than his cot bed but he is much happier in there and as the ladder is slanted he has no trouble getting up and down. 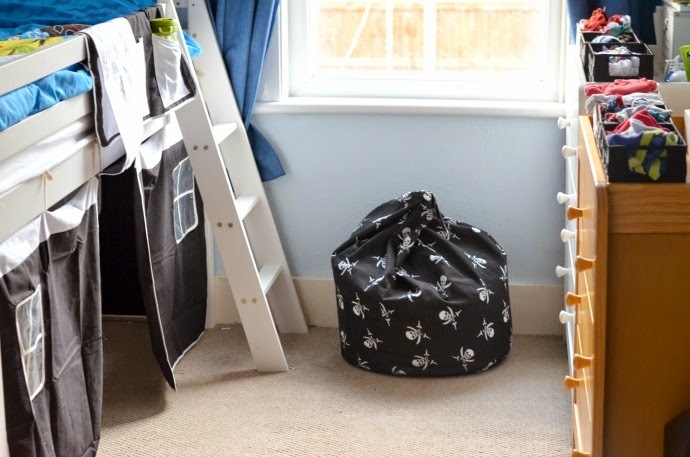 We bought the boys a beanbag as well which is very useful for bedtime stories. They both love the tent under the bed and I often come into what seems to be an empty room other than the giggles coming from under the bed. 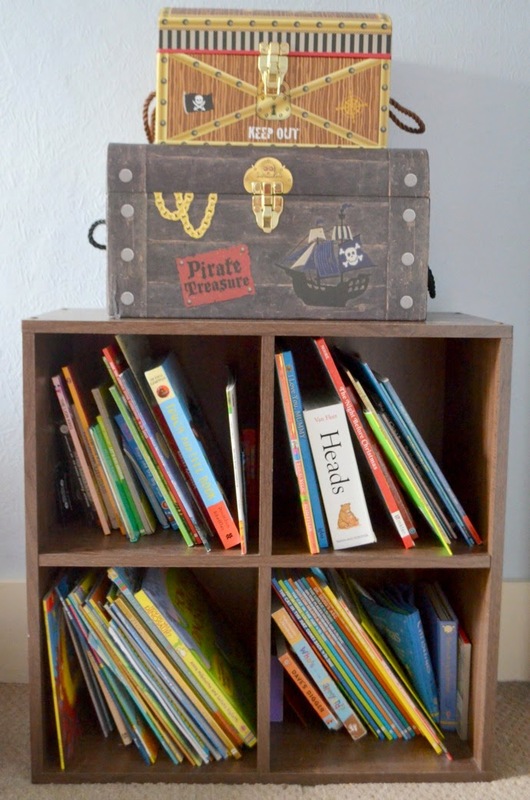 We moved this unit upstairs as it makes a great bookcase, and they have a selection of books up here for quiet reading and bedtime stories. 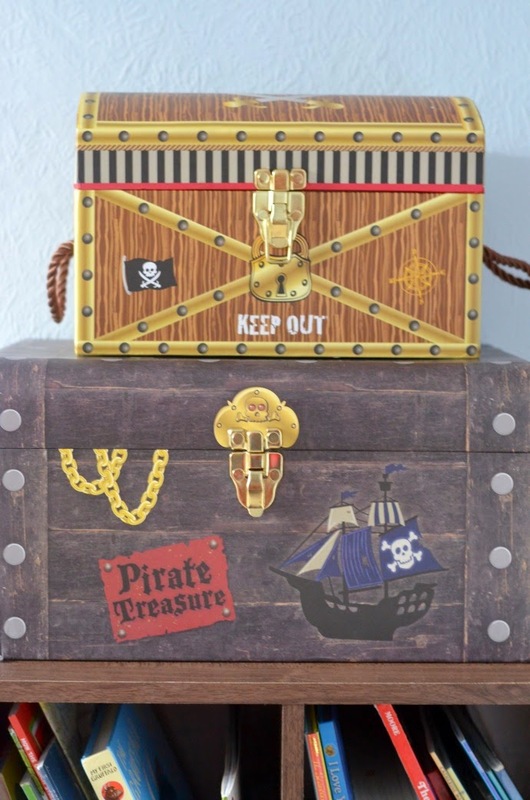 I think these treasure chests are brilliant and they immediately chose one each and filled them with treasure. They are from TKMaxx and worked out only about £14 for the pair. I want to get some nice fabric bunting for the room, but for now they have plastic flags along one wall. 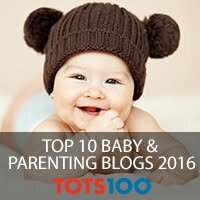 We have limited the toys in their room now, both to allow some space and to keep it tidy, but Playmobil is in the bedroom as it won't be long until we have a crawling baby around and the pieces are so small. 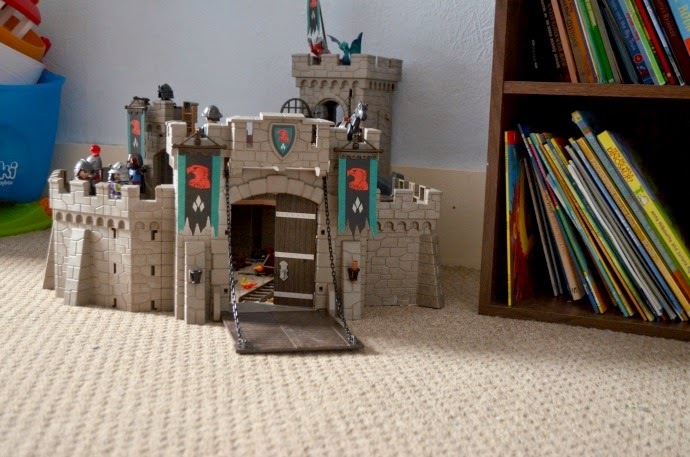 This castle was Dylan's Christmas present and both boys love playing with it. 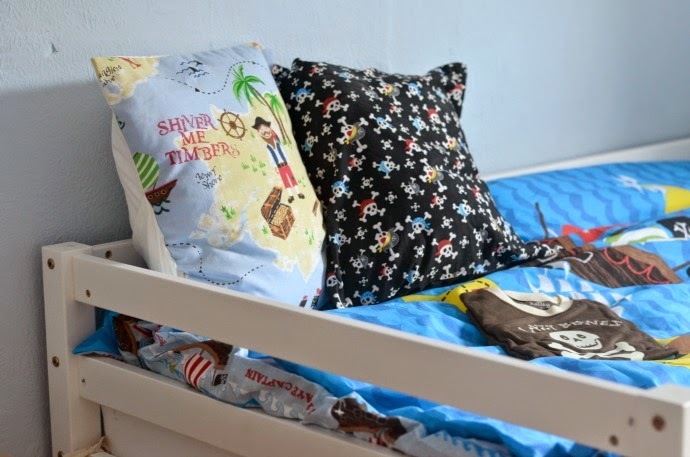 Dylan's pirate bedding is from BlueZoo at Debenhams and we bought him a Jake and the Neverland Pirates nightlight too as he likes to go to sleep with a little light on at the moment. His gorgeous lion was knitted by his lovely nanny. Both boys love to chill out on the big bed, so they have a couple of cushions up there. One is made with Laura Ashley fabric and the other was bought from Ebay. 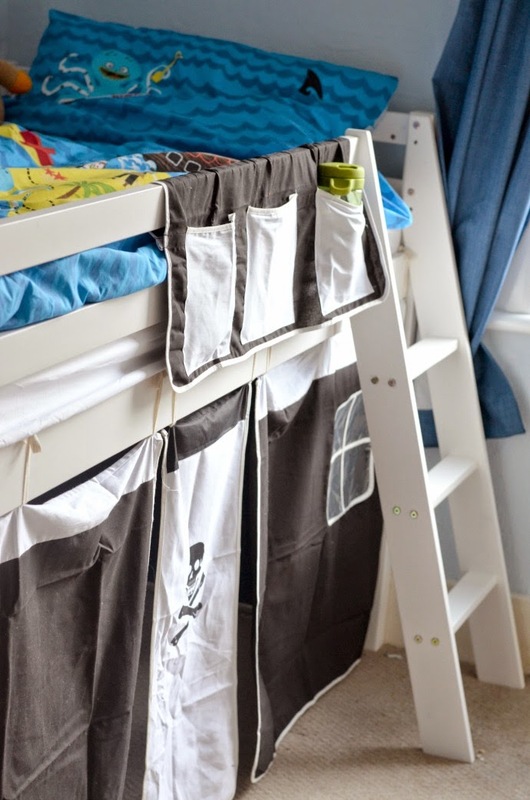 We ordered the pockets that attach to the side of the bed as well and they are great. 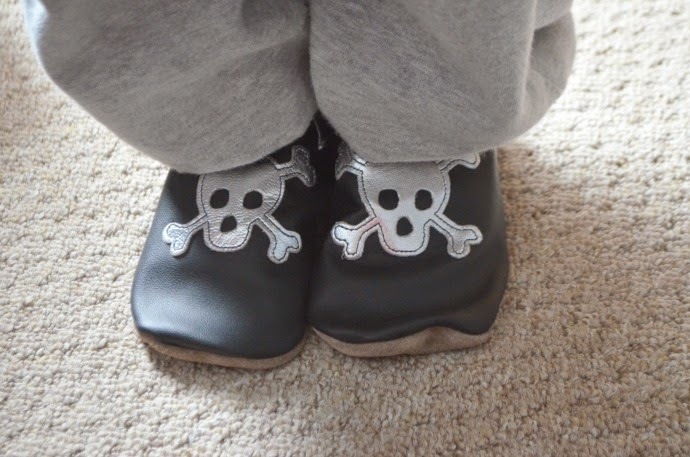 They velcro on and are handy for storing slippers, toys and a drink. The lightshade isn't put on quite right, but it is amazing and another ebay buy. 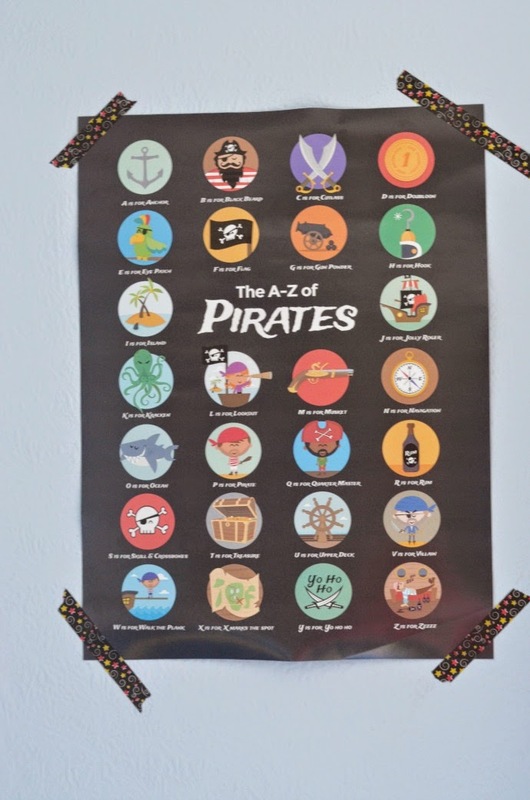 I loved this poster from LittleHandPrints and with an alphabet mad toddler it seemed perfect for his part of the room. I want to frame it, but had an unfortunate accident bringing the frame home from the shop and haven't gotten around to replacing the glass quite yet. 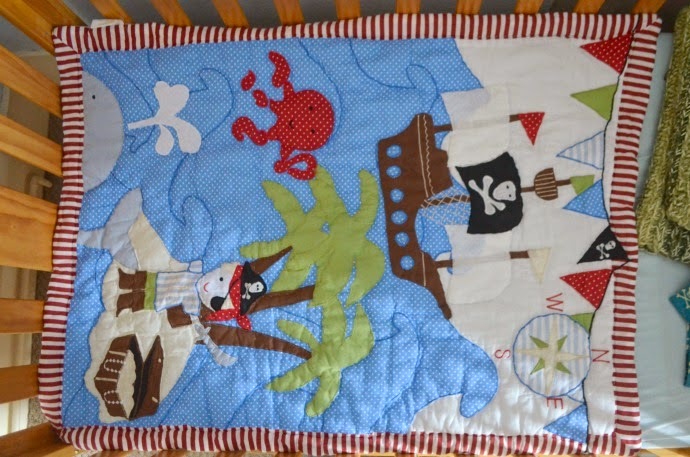 I love the hand stitched effect on Archie's cot duvet. He is nearly ready to have the sides taken off, but whilst the boys are adjusting to their new room, we have decided to leave them on. 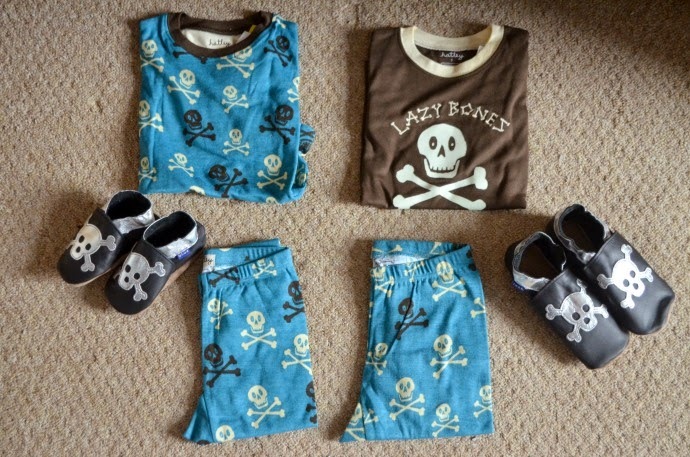 All little pirates need new pyjamas so we bought the boys these from Hatley as they both love the skinny fit style. One set of leggings has the black cuffs and the other cream cuffs so they are matching but not the same. 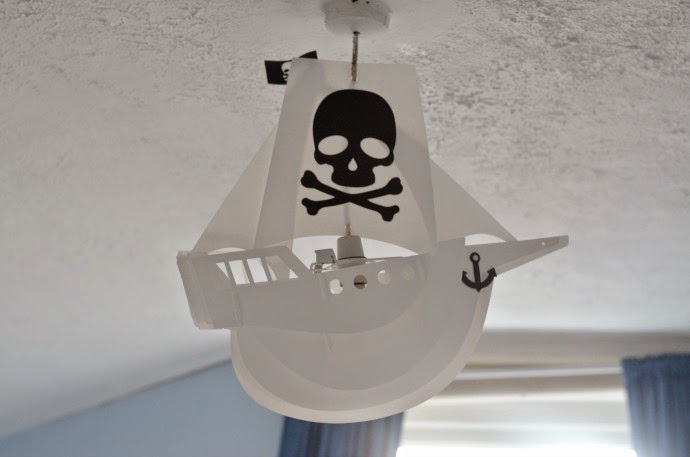 We decided against painting the walls or making too many drastic changes as we do live in a rented house, but all the little touches make the room into a lovely pirate space suitable for the boys to share. 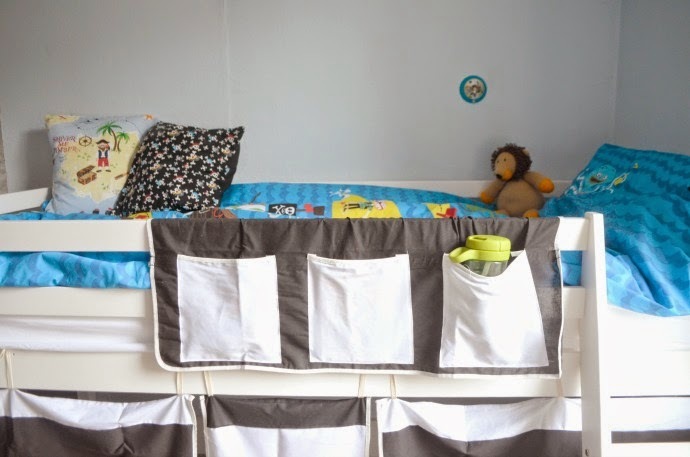 If you like the look of Dylan's new bed, then come back tomorrow to enter an amazing giveaway. 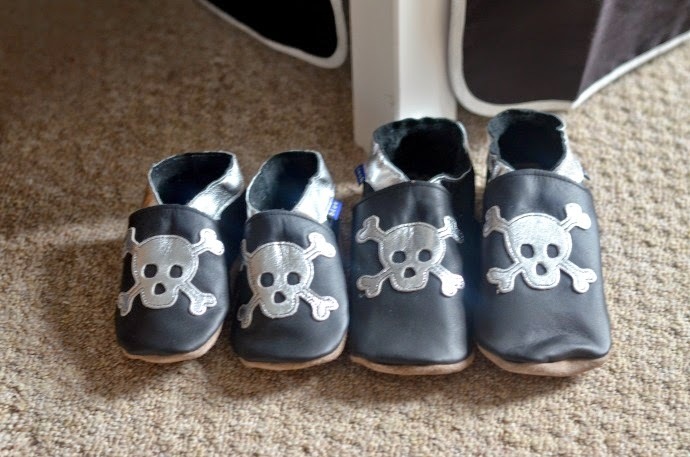 Disclaimer: The bed was kindly sent to us from Noa and Nani and Inch Blue sent the boys a pair of slippers each. All other items featured were purchased by us. Amazing! 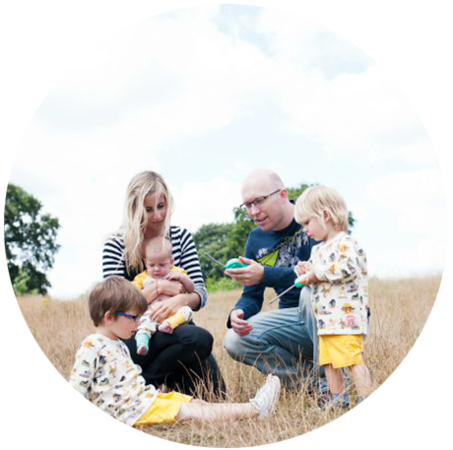 I remember we had a similar idea once before with our grey/mustard themed nurseries and three guesses what the theme of Oliver's room is haha! We even have this bed! I love it! 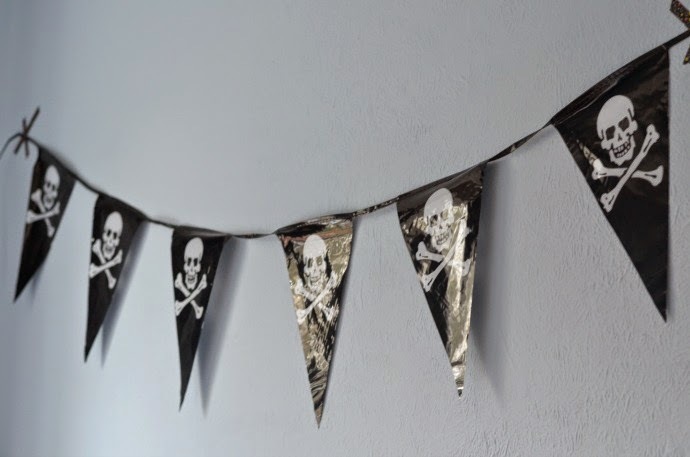 PS - I got great fabric pirate bunting off Amazon! 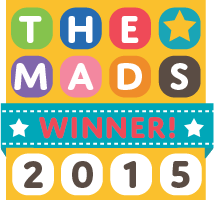 Thanks for the bunting idea, off to check it out. We both share great taste it seems! What a gorgeous room. Such simple changes make such a difference an I am glad to hear they are loving it. How flipping BRILLIANT does this look! 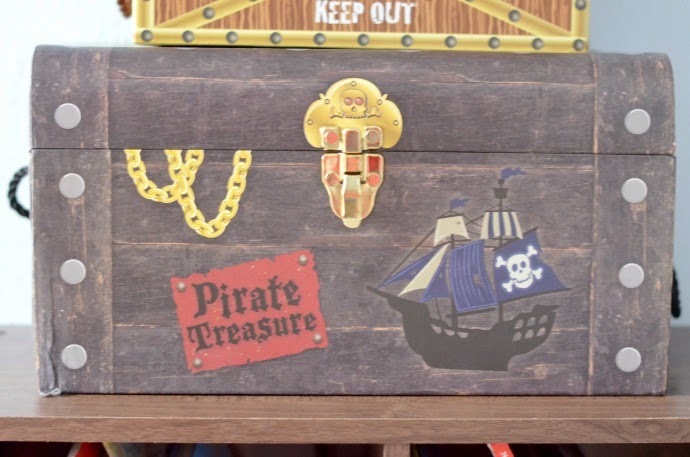 The bed is FAB, and I adore the treasure chests. You are too clever! Buba would love this theme. It looks fantastic Bex come decorate our house. 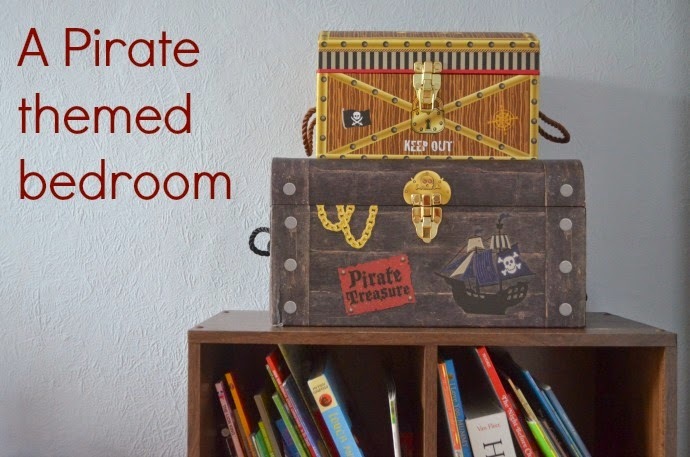 I am trying to revamp the kids rooms so they don't look like nurseries anymore as they get older but just haven't found what I want to do them both in yet. So hard to make that decision. You did a great job. Bet the boys love it. I love themed bedrooms. I still have to do the kids one. Haven't fully decided yet. Chloes will be more than likely cat themed.